Keep it together with the Gentlemen's Hardware Plier Stapler & Staples. 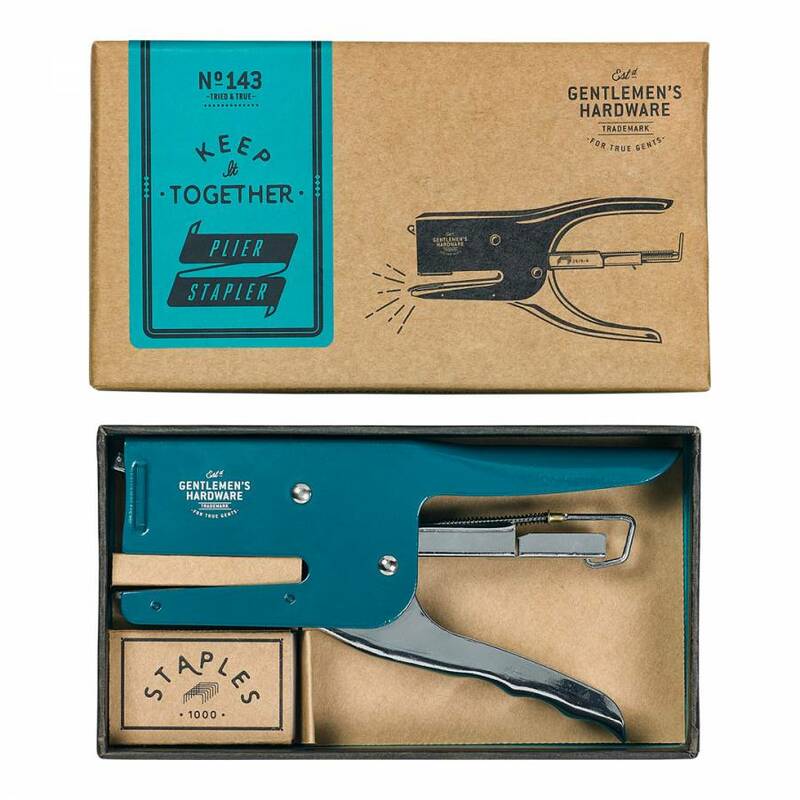 Answering the need for stapling odd-sized papers, the heavy-duty design features a stainless steel construction and teal finish with Gentlemen's Hardware branding. Ideal for the post room, home and office. Includes box of 1000 staples. Plier stapler is compatible with all standard size staples.